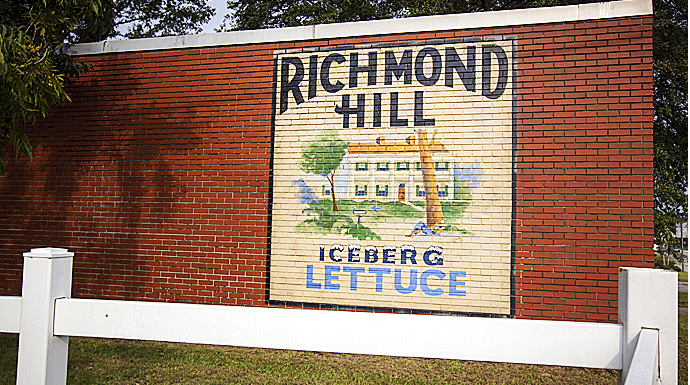 Richmond Hill, Georgia, looks like a bustling modern city, but delve a little deeper and you’ll find that we are steeped in history. From the Guale Indians to automobile mogul Henry Ford, Richmond Hill has a long and storied past. Start a day of exploration with a hearty breakfast sandwich or cheesy omelette at the Omelette Café. While you’re enjoying eggs, bacon and, yes, grits, download the free Coastal Bryan Heritage Trail app to plan your route. 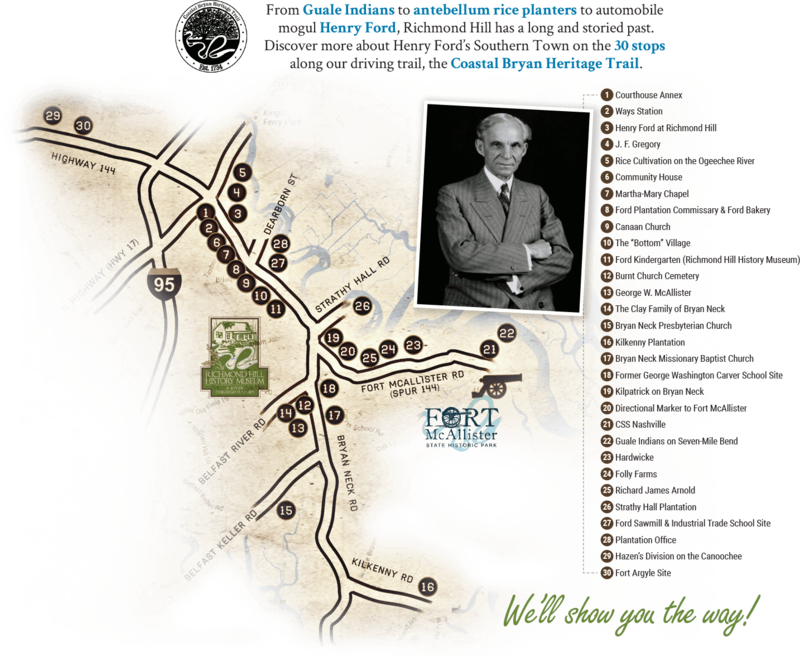 Immerse yourself in Richmond Hill history on the driving tour of the city Henry Ford built. 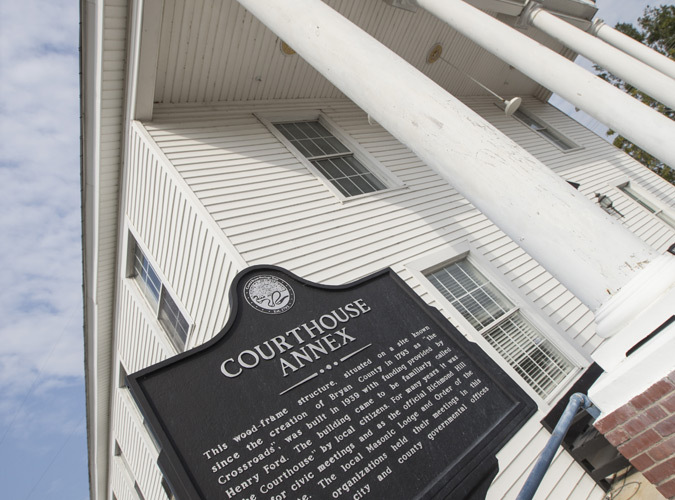 Start at the Courthouse Annex, stop #1, 9930 Ford Avenue, built in 1939 with funding from Henry Ford. 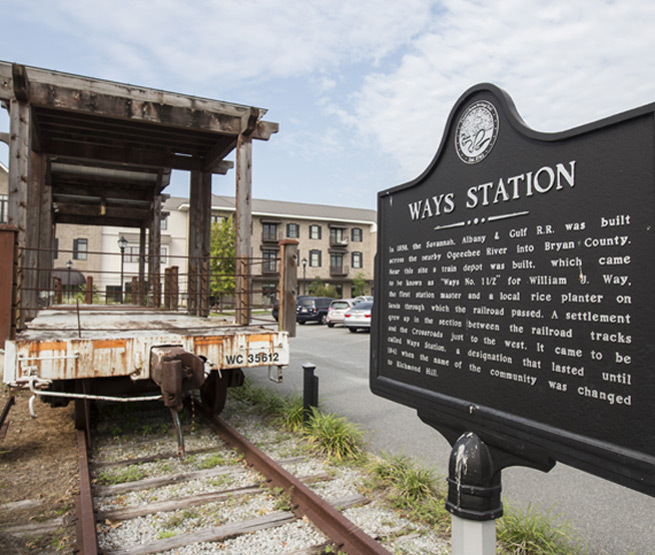 “Ways Station” marker, stop #2, 3205 TSX Ground Central, documenting the settlement of Ways Station that grew up between the railroad tracks and the crossroads to the west of them, later renamed Richmond Hill. “Henry Ford at Richmond Hill” marker, stop #3, 40 Richard Davis Drive, at Richmond Hill City Hall, describing how Henry and Clara Ford came to Richmond Hill, built their winter home here, and made significant contributions to the community. “J.F. Gregory” marker, stop #4, 40 Richard Davis Drive across from City Hall, which honors the man who was the general manager and superintendent for all of Henry Ford’s various operations in Richmond Hill. “Rice Cultivation on the Ogeechee River” marker, stop #5, 520 Cedar Street, to the right of the City Center, describes how the rice crop was cultivated on Bryan Neck in the 1700s and 1800s, ending by 1900. The Carter Funeral Home is the former Community House, stop #6, 10512 Ford Avenue, the single most imposing structure built by Henry and Clara Ford in Richmond Hill outside of their home on the Ogeechee River. The Community House is where cooking, home economics, sewing, dancing and other activities were taught at no cost to the local residents, and were many social activities were held, many attended by the Fords themselves. The “Martha-Mary Chapel” marker, stop #7, 10550 Ford Avenue, describes how the Fords had the chapel, now St. Anne’s Catholic Church, built in 1937 and named for Henry’s (Mary) and Clara’s (Martha) mothers. Stop #8, “The Bakery & Commissary,” 10750 and 10770 Ford Avenue, describes the general store, ice plant and bakery that Henry Ford built in 1941 to serve his employees and local residents. Stop #9, Canaan Baptist Church, 10872 Ford Avenue, was organized in 1913. Many of the original congregants were descendants of slaves of the nearby antebellum rice plantations. The present sanctuary was built with support from Henry Ford. “The ‘Bottom’ Village” marker, stop #10, Ford Avenue & Mimosa Street, describes the first housing project developed by Henry Ford for his employees in Ways Station (later Richmond Hill). In the Bottom, there were 75 two-and-three-bedroom homes built for Ford’s workers, along with a recreation building and a baseball field. View Ford’s barber chair and other mementos at the Richmond Hill History Museum, formerly the Kindergarten Building, stop #11, 11460 Ford Avenue on the Trail. The structure was built in 1940 by Henry Ford to serve as a kindergarten for the children of Ways Station-Richmond Hill. 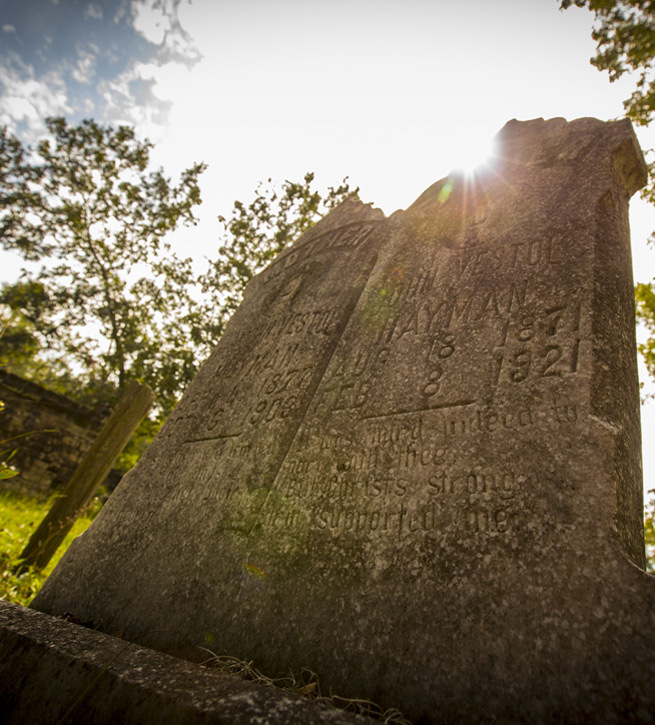 Stop #12, Burnt Church Cemetery, Highway 144 (1/10 mile south of Belfast River Road on the right just past the traffic circle), contains the interred remains of some of Bryan County’s most prominent early families, including the McAllisters (#13) and Clays (#14) – Within Burnt Church Cemetery. Stop #15 is Bryan Neck Presbyterian Church, 7916 Belfast Keller Road. Established in 1830, it is the oldest organized congregation in the county. The current sanctuary, the oldest public building in Bryan County, was built in 1885 after the first building burned. The cemetery, known as Burnt Church Cemetery, remains at the original site of the church. The Kilkenny House, built in 1843-46 and restored by Henry Ford in the 1920s, is stop #16, 3803 Kilkenney Road. Bryan Neck Missionary Baptist Church, stop #17, 16525 GA Highway 144, is the oldest African-American church congregation in lower Bryan County, organized in 1869. The first structure for the church, a Prayer House, was built in 1870 on this site near the white Presbyterian Church (Burnt Church). The marker at stop #18, 16525 Bryan Neck Road, describes how Henry Ford built the George Washington Carver School in 1939 to serve the educational needs of the African-American children of lower Bryan County. The marker at stop #19 (currently removed temporarily for road construction), “Kilpatrick on Bryan Neck” tells the story of how Brig. Gen. J.L. Kilpatrick, 3rd Cavalry Division [US], crossed the Ogeechee River near Fort Argyle and the Canoochee River near Bryan Court House (Clyde) on pontoon bridges and moved down Bryan Neck, securing the area for Gen. William T. Sherman. Stop #21, 3894 Fort McAllister Road, “The CSS Nashville," pavilion showcases machinery recovered from the CSS Nashville or “Rattlesnake”, a 1200-ton Confederate blockade runner that was sunk in the Ogeechee River by the ironclad Montauk. Directly across from the CSS Nashville pavilion at the Fort McAllister fishing pier is stop #22, 3894 Fort McAllister Road, the marker “The Guale Village at Seven-Mile Bend,” which describes the archaeological evidence documenting the area’s inhabitance by Native Americans as early as 3000 B.C. One mile from the “Hardwicke” marker, stop #24, 65 Olde Hardwicke Road, is Folly Farms, a Greek Revival home that has been the site of Hollywood films such as “Glory” and “The General’s Daughter.” While the house is a private residence and should not be approached, a nearby marker that is stop #25 – Located on Spur 144 (Fort McAllister Road), “Richard James Arnold,” tells about the man who built the Folly Farms house as a wedding gift for his daughter, and who was both a prominent landowner in the area with 200 slaves and a Quaker who was involved in the movement to abolish slavery. Stop #26, 51 Mill Hill Landing Road, is Strathy Hall, another private residence, that is the oldest residential structure in lower Bryan County, built in 1838, and restored by Henry Ford in the 1940s. A shopping center called “Sawmill Plaza,” stop #27, 10757 Ford Avenue, is on the site of what was once the Ford Sawmill and Industrial Arts and Trade School. Most of the structures around Richmond Hill, including residential housing for Ford employees and various community buildings, were constructed from lumber supplied by this local sawmill, while the Industrial Arts and Trade School, built by Ford in the late 1930s, taught boys trades such as woodworking, metal finishing, sheet metal work, ornamental iron work, machine shop forging, welding, printing, mechanical and architectural drawing, brass foundry and carpentry. Nearby, at Dearborn and Greenwich, stop #28, 230 Greenwich Drive, is a building that was the Ford Plantation Office, where the offices of Ford’s plantation superintendent, bookkeeper, office manager, payroll clerk, and telephone switchboard were located. The marker “Hazen’s Division on the Canoochee,” stop #29, Hwy 144 on Fort Stewart, tells more of the conflict between Union and Confederate troops as Sherman’s March to the Sea approached Savannah. Stop #30, Hwy 144 on Fort Stewart, “Fort Argyle,” is the oldest site on the Trail. Fort Argyle was developed by Georgia founder Gen. James Oglethorpe to defend Savannah from the Spanish in the 1730s. 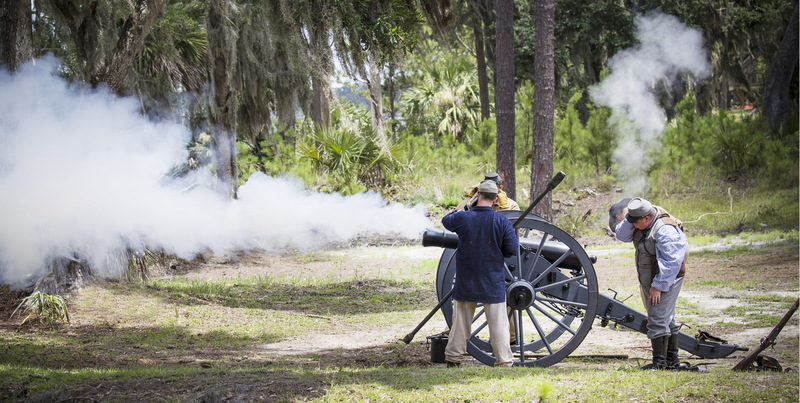 Nothing remains of the fort today, and it is not accessible to the general public since it lies entirely within the boundaries of Fort Stewart Military Reservation. If your itch for history still needs scratching, pick up some sweets from All Things Chocolate in Richmond Hill, then drive south and stop in the Midway Museum for a guided tour of the historic house, church and cemetery where stories abound, or go north to pay a visit to the National Museum of the Mighty Eighth Air Force in Pooler, where you can marvel at the B-17 and other aircraft and the museum’s interactive displays. 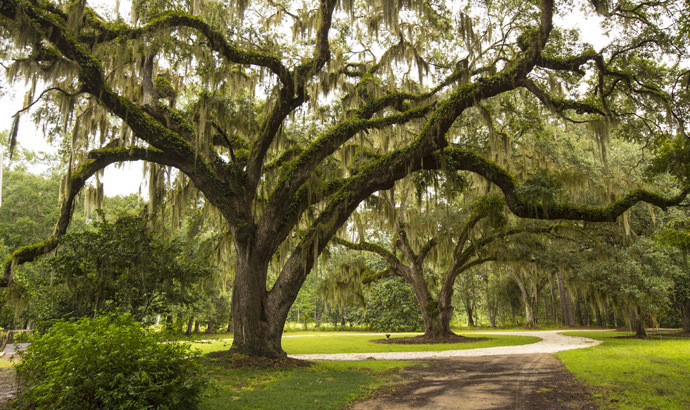 Of course, Richmond Hill’s location adjacent to Historic Savannah means you can tour America’s largest National Historic Landmark district by trolley, as well as visit Old Fort Jackson, Fort Pulaski National Monument and Bonaventure Cemetery. Download the free Heritage Trail app! Search for “Coastal Bryan Heritage Trail” in the app store.